Oh yummy it's time for Sandwhich making....not the food kind, the quilty kind...... I have 2 mini quilts all sewn up and ready to make my Sandwhich. Backs are all pressed and ready to cut. Have to add a little border to each but that's gonna be real quick since they are both 24 x 30ish. 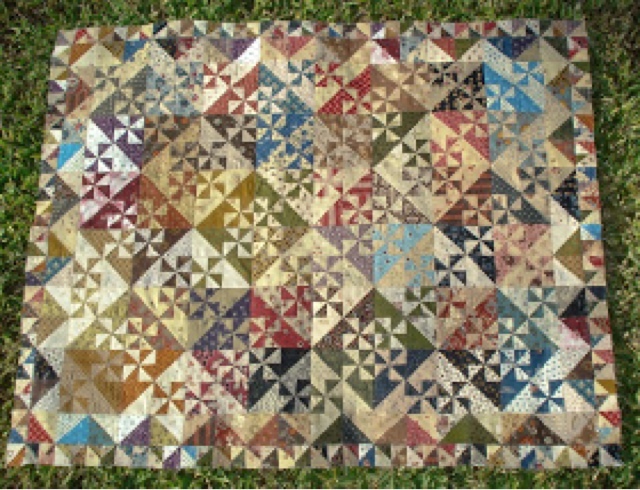 They will both get simple stitch in the ditch quilting due to the Many seams and amount of starch. I had a moment of despair when I noticed 2 of the blocks were wrong, but I was able to unpick the seams exactly around the square and get it back in. There are tons of seams and they are such small pieces. 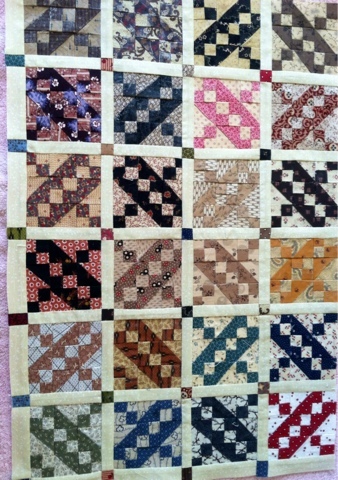 The border around the edge is 1/2" half square triangles.